School faces different kind of conflicts: disputes between children, those between teachers and children or those between teachers and parents. School is favorable space to restore the social link by teaching tolerance and solidarity. – Teachers of the school, who received an education about mediation, operate if pupils, parents or teachers are asking. 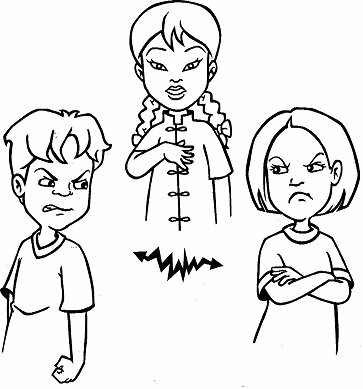 – Mediation is done by the children themselves, in order to resolving disputes between pupils of a school. – by suggesting a project of a mediation done by the pupils in a school. We consider the needs and the specificity of each school. AIKIVISION provides the education of the children mediators.